Experience Egypt with Nile Cruise Holiday. Stop in Cairo to visit the Giza Pyramids and the Egyptian Museum before flying to Aswan to embark on a Nile cruise. 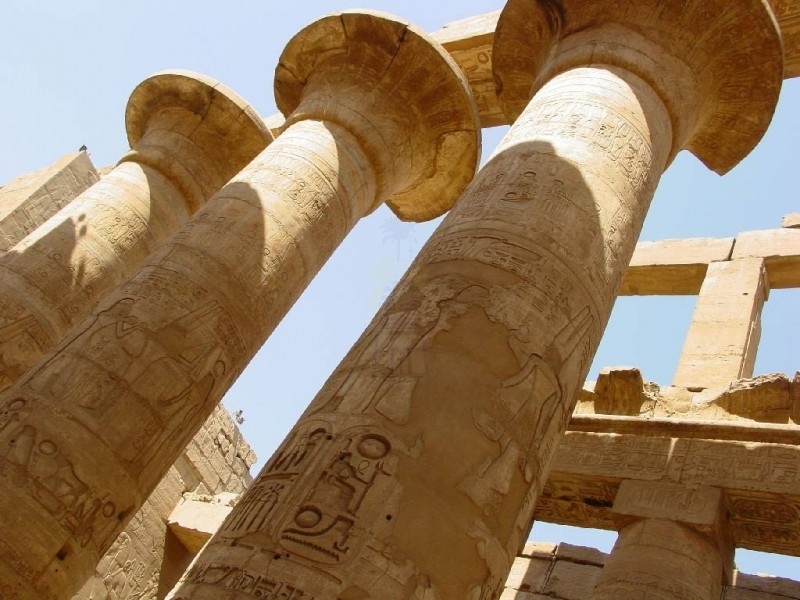 See impressive ruins and a beautiful scenery on a luxurious cruise before returning to Cairo for departure. Your Egypt tour begins at your chosen hotel in Cairo. Upon arrival to Cairo Int. Airport, you will be met with our English-speaking representative who will help and assist you in all formalities. A private transfer by an A-C van from the airport to your hotel in Cairo is included. Arrives to your hotel, check in, rest and refresh. Breakfast at hotel. Then you will be met by our English Egyptologist tour guide to start your first day tour by visiting Pyramids of Giza "Khufu, Khafre & Menkaure", where the greatness has been embodied in three pyramids with a limestone statue of Sphinx guarding the whole area.Then proceed to one of our local restaurant to have your lunch. After finishing your day tour, you will get back to your hotel in Cairo for overnight. Breakfast at hotel. Check out. Our representative will meet you at the hotel to transfer you to Cairo airport to take your flight to Aswan. 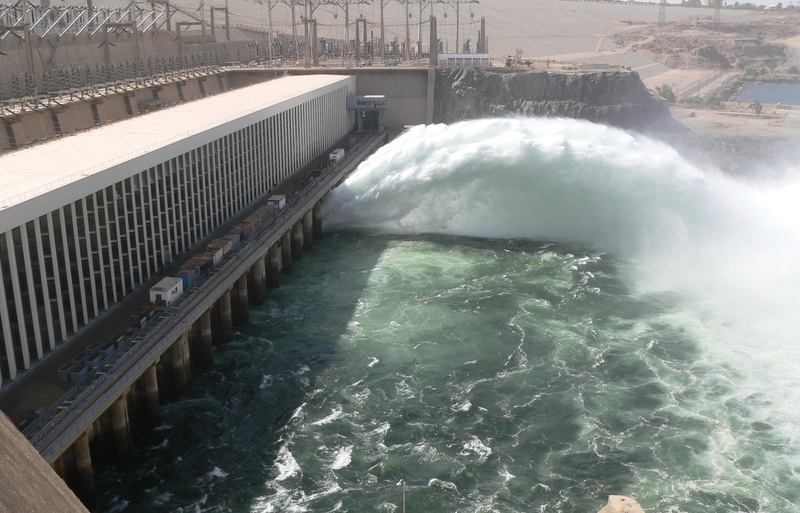 Upon arrival at Aswan airport, you will join your Egyptologist tour guide to discover the great city of Aswan, including The High Dam, which has been erected by the Egyptian president Gamal Abdel Nasser in 1960 AD to protect Egypt from the Nile flood. 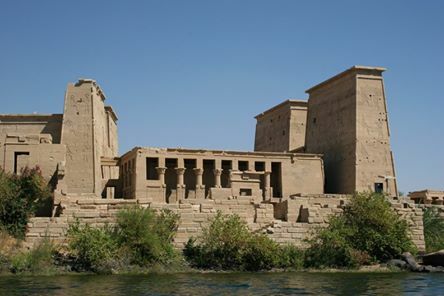 After that you will enjoy sailing on the Nile River by a motor boat till reach Agilika Island, where you will visit Temple of Philae, which was erected during the Gaeco-Roman period and was dedicated to goddess Isis (mother of god Horus). Finally you will be escorted to visit one of the marvelous sightseeing in Aswan, The Unfinished Obelisk, which was made out of red granite and was dedicated to god Amun Ra. After finishing your day tour, you will transfer to your Nile cruise for check in and overnight. Breakfast will be served on board your ship. 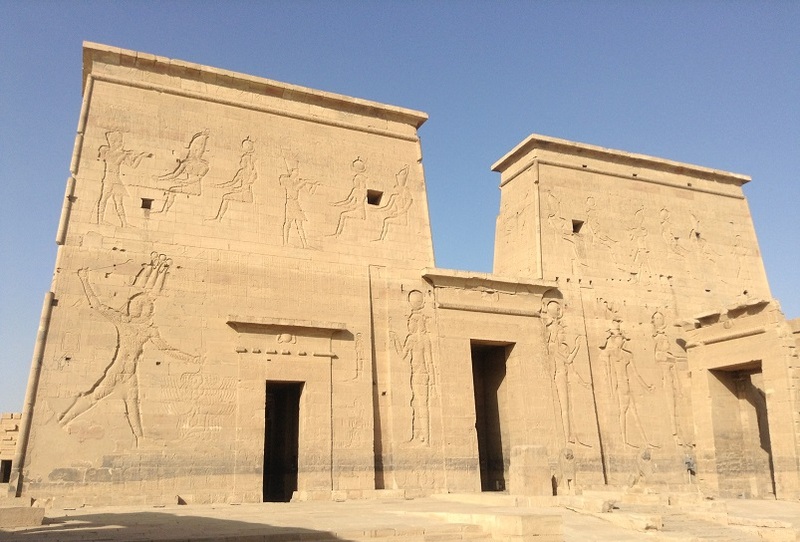 After that you will join your Egyptologist tour guide to visit one of the most wonderful temples in Egypt, Temple of Kom Ombo, where the two gods Sobek & Haroeris were worshipped for a while. Get back to your ship and enjoy your lunch on the sun deck, watching the unique landscape of the great river Nile. Afternoon, enjoy chariot riding to Temple of Horus in Edfu, which is considered to be one of the most well preserved temples in Egypt. After finishing your tour, you will be transferred back to your ship. Enjoy relaxing on board your ship. Dinner will be served on board. At night Egyptian Folkloric Show party will be operated by staff on board. Breakfast on the Nile cruise. After that you will start your magical tour in Thebes, the sacred land by exploring the wet bank of Luxor including Valley of the Kings, which considers as the royal cemetery of the Theban kings and rulers of ancient Egypt, and the place where our Pharaohs were buried. 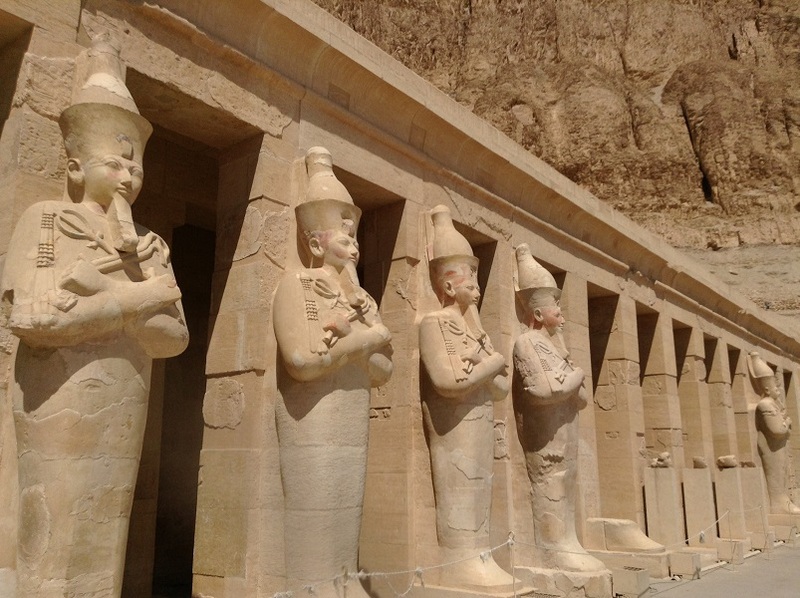 After that, you will proceed to visit Temple of Queen Hatshepsut at Deir El Bahari. This temple is considered as one of the most wonderful examples of the Architecture in ancient Egypt, because it was totally carved inside the mountain. 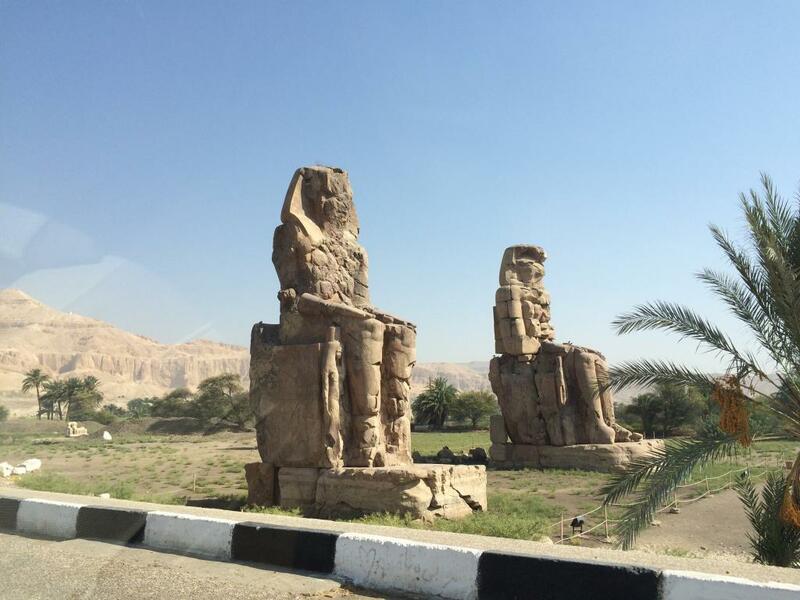 At the end of the tour you will visit Colossi of Memnon, which is belonging to king Amenhotep III. After that you will return to your ship to have your lunch. Afternoon, free at leisure. Dinner and overnight on the cruise. Check out after breakfast (at 08:00 AM). 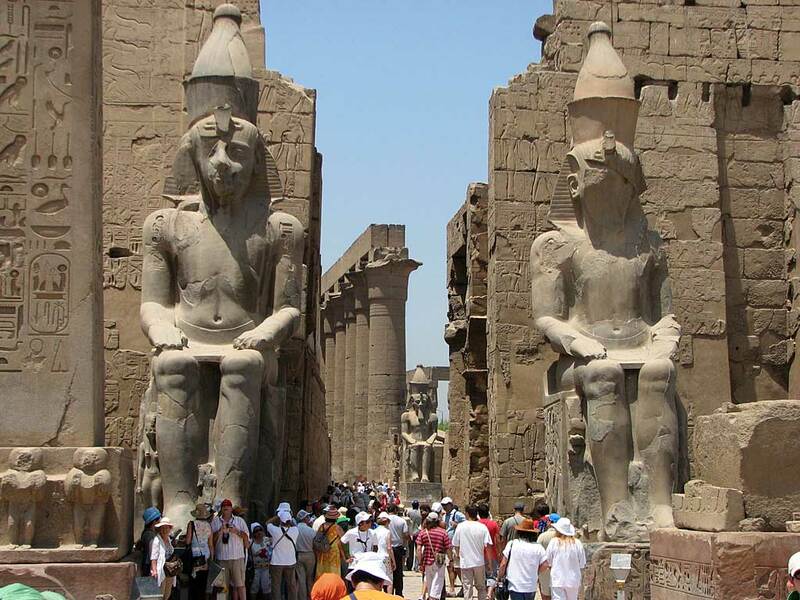 After that you will enjoy your tour discovering the East Bank of Luxor, including the most wonderful Karnak Temples Complex, which is considered to be the biggest complex construction in the world covering an area of a hundred. Finish your lovely tour in Temple of Luxor, built by one of the kings of the 12th dynasty & completed by the well know king Ramses II. ​After finishing your day tour, you will be transferred by private A-C van to Luxor airport to fly to Cairo. Upon arrival at Cairo airport, you will find our Cairo Representative is waiting for you to transfer you to your hotel in Cairo by a private A/C van assisting you in your check in. Overnight in Cairo. Breakfast at your hotel. Then our representative will pick you up from your hotel to transfer you to Cairo airport to take your international flight.